Services – E&B Heating & Air, Inc. Serving Tallahassee, North Florida, & South Georgia Since 1974! Whether you need to replace your existing HVAC equipment or add air conditioning to a home that has never had it before, E & B Heating & Air Conditioning, Inc. has a wide range of HVAC products to meet your needs and budget. From air conditioners, furnaces, geothermal products and heat pumps to air quality solutions, thermostats or other any heating and air conditioning services you need, we can provide a range of solutions that are both affordable and will provide comfort to your family. As part of the Carrier network, we have access to their local HVAC inventory and supplies. We can receive their products in as little as 24 hours, on the rare occasion we do not have something in-house ourselves. Let E & B Heating & Air Conditioning, Inc. evaluate your current system and provide you with the most economical way to keep your home comfortable for your family. E & B Heating & Air Conditioning, Inc. takes pride in our fast response time when helping you with your emergency HVAC and repair needs. Our factory trained service technicians and diagnostic equipment enable us to perform adjustments or repairs when needed. In addition to repairing Carrier equipment, our skilled HVAC technicians provide heating and air conditioning services to all brands of HVAC equipment and systems. 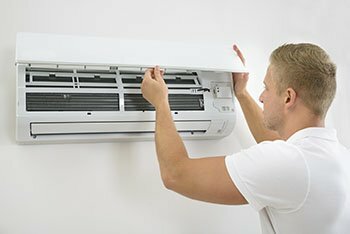 When E & B Heating & Air Conditioning, Inc. services your air conditioning equipment, you can be confident that all repairs are done correctly the first time. To minimize future repair bills, consider a Service Agreement with E & B Heating & Air Conditioning, Inc.
Our trained HVAC technicians can provide you with a comprehensive plan to provide preventive and predictive maintenance. This will help you keep all your HVAC equipment up and running efficiently. With the cost of running your air conditioning system being a significant part of your monthly utility bill, it only makes sense – and saves you money – to maintain your air conditioner in peak operating condition. Not ready to sign a service agreement – not a problem. Give us a call to schedule a tune-up of your HVAC system and one of our friendly service technicians can help keep your home comfortable for your family. *We recommend performing a tune-up twice a year to properly maintain your system and save you money on your monthly utility bill. Geothermal air conditioning and heating systems involve state-of-the-art technology and are the "green" choice for heating and cooling. 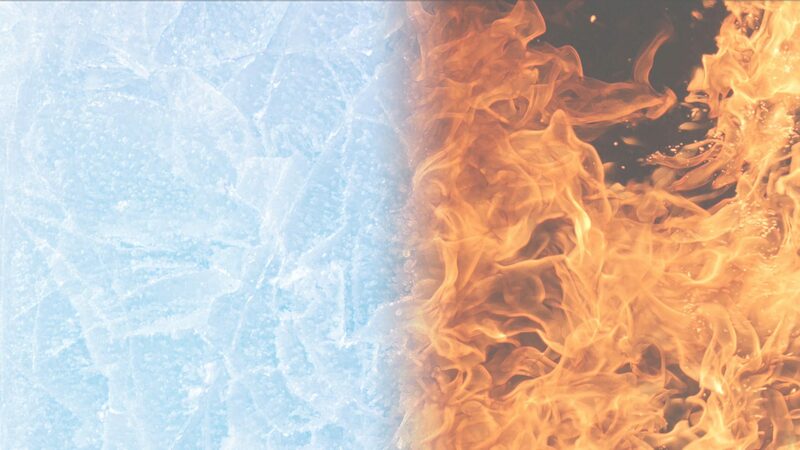 Our geothermal specialists have the tools and technology to install and perform service on geothermal systems. Call us for any questions about a new installation or concerns about an existing system service issue. We are always here to help keep you and your family comfortable in your home. E & B Heating & Air Conditioning, Inc. participates in the Home Performance Evaluation by ENERGY STAR. This national program from the United States Department of Energy and Environmental Protection Agency offers a comprehensive, whole-house approach to improving energy efficiency and comfort at home. This initiative also helps with protecting the environment as well. Let one of our trained service technicians provide this evaluation, helping you save money and protect the environment at the same time. At E & B Heating & Air Conditioning, Inc., our Commercial HVAC Department provides a full range of heating and air conditioning services to clients. From maintenance and repairs to new installations, let one of our trained service technicians maintain your HVAC equipment and help to maintain a productive work environment. We can also help in the design stage of your next facility. This way we can help you design the most efficient and cost-effective system for your needs. At E & B Heating & Air Conditioning, Inc., all of our technicians are trained and certified by the factory. But we do not stop there. We provide on-going in-house training to ensure superior customer service and that the job is done right the first time. Rest assured that when you invite an E & B Heating & Air Conditioning, Inc. technician into your home, you will get a friendly member of our family to take care of your HVAC service needs. Our friendly technicians are available 24 hours a day for your emergency service needs. Simply give E & B Heating & Air Conditioning, Inc. a call, day or night, and let one of our technicians help you with your problem. We are always here to assist you.